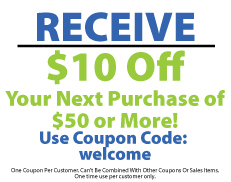 Weight Loss Designed with YOU in mind! At Slim 180 Weight Loss, our goal is to teach you how to accomplish an “about face” and do a 180 when it comes to your weight loss. We don’t want you to ever have a weight problem again! 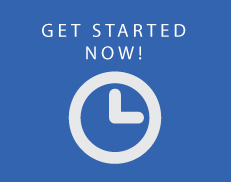 With our easy to use 4 STEP Program, we want you to see a weight loss of 3-5 pounds per week. 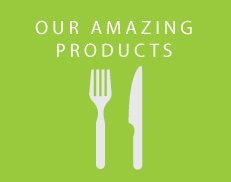 ‡While going through the program I was losing weight and inches quickly. I liked that I could eat regular grocery store foods, take their vitamins have one on one counseling and lose weight quickly. I lost 41 pounds and 35 inches! ‡Results not typical. Members following our program, on average, lose about 1-2 lbs per week. Theresa received personal consideration. 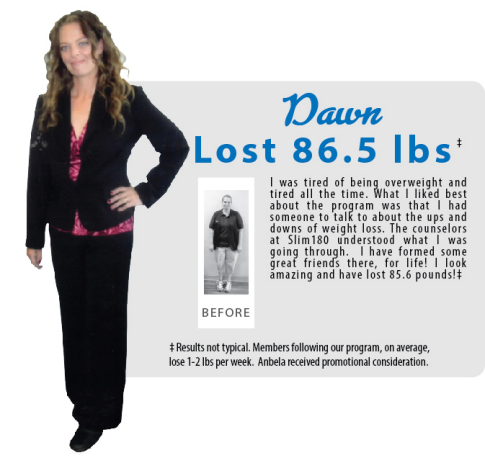 ‡I started this program because I got type 2 diabetes and my doctor put me on Metformin. Six months later after losing 85 pounds, the doctor took me off my medication. I tell people about Slim180, my journey and how much more happier I am. ‡Results not typical. Members following our program, on average, lose about 1-2 lbs per week. 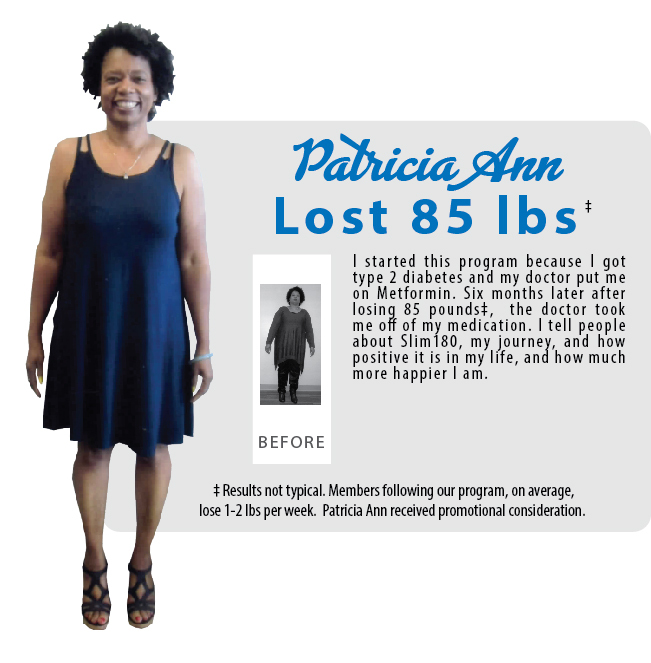 Patricia Ann received personal consideration. Get a free 30 minute, no obligation consultation, and find out how quickly you can lose your weight and join our Success Stories!! Thank you to the Slim180 staff for the encouragement, you have changed my life! 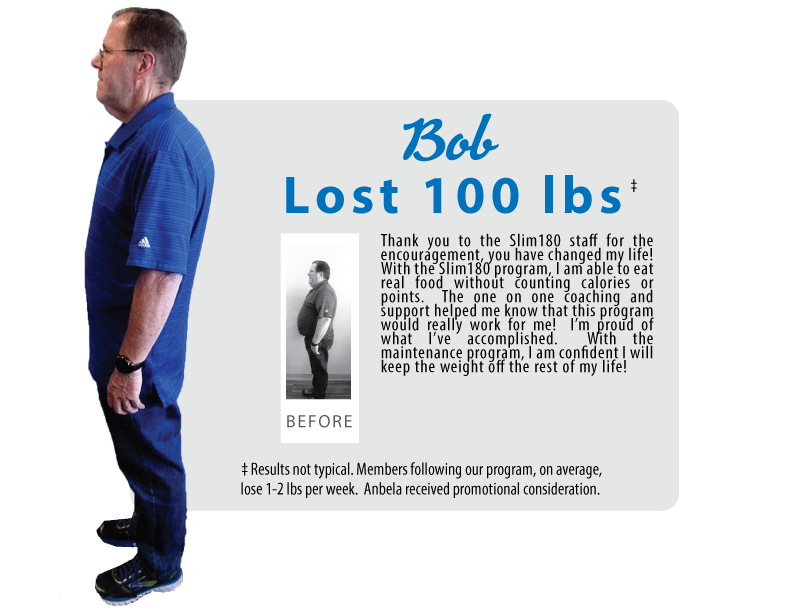 With the Slim180 program, I am able to eat real food without counting calories or points. The one on one coaching and support helped me know that this program would really work for me! I am confident I will keep the weight off the rest of my life! ‡Results not typical. 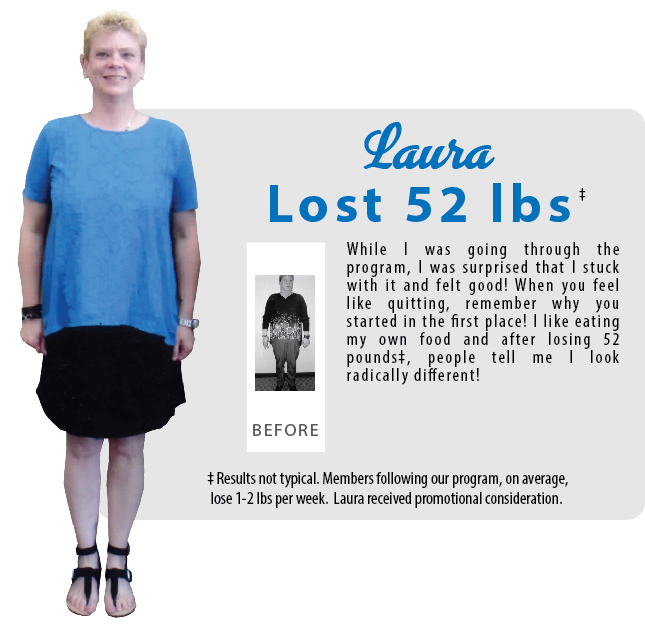 Members following our program, on average, lose about 1-2 lbs per week. Bob received personal consideration. ‡It’s a time saver. It’s so convenient, and it works! So why wouldn’t anyone want to do mySlim180? It’s being able to live my life but still be able to feel like I’m in control. I fell Good about it. ‡Results not typical. 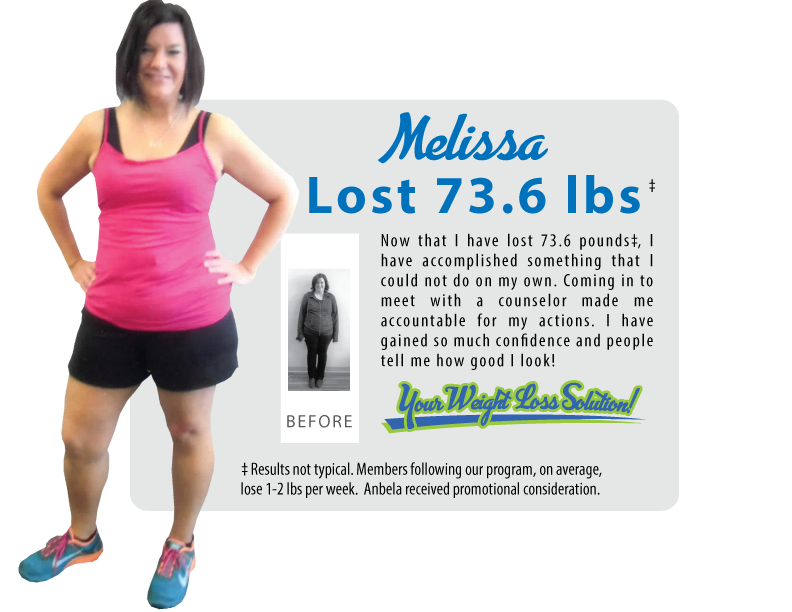 Members following our program, on average, lose about 1-2 lbs per week. Anabela received personal consideration. ‡Thank you everyone! I’m happy I chose Slim180. What I liked about the program was eating real foods and the supplements revved up my metabolism! I had acid re-flux and bad knees and now my acid re-flux is gone! I’ve lost 96 pounds, A WHOLE PERSON! ‡Results not typical. Members following our program, on average, lose about 1-2 lbs per week. Paula received personal consideration. ‡Results not typical. Members following our program, on average, lose about 1-2 lbs per week. Dawn received personal consideration. 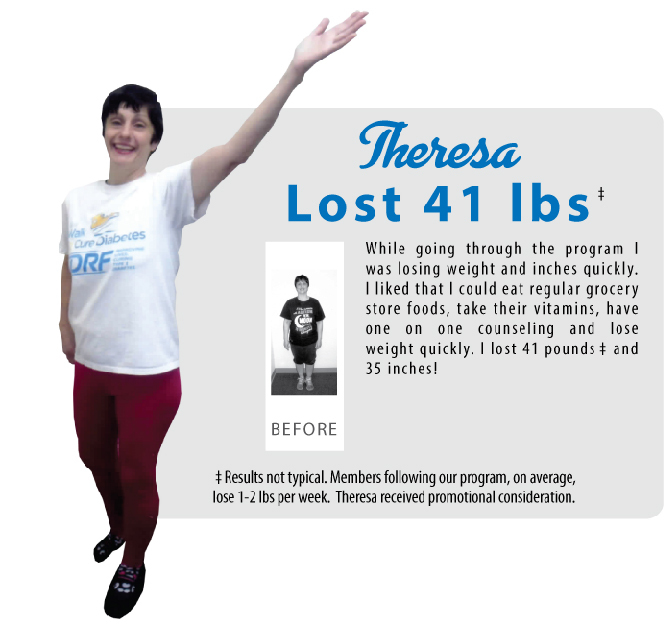 ‡While I was going through the program, I was surprised that I stuck with it and felt good! When you feel like quitting, remember why you started in the first place! I like eating my own food and after losing 52 pounds, people tell me I look radically different! ‡Results not typical. 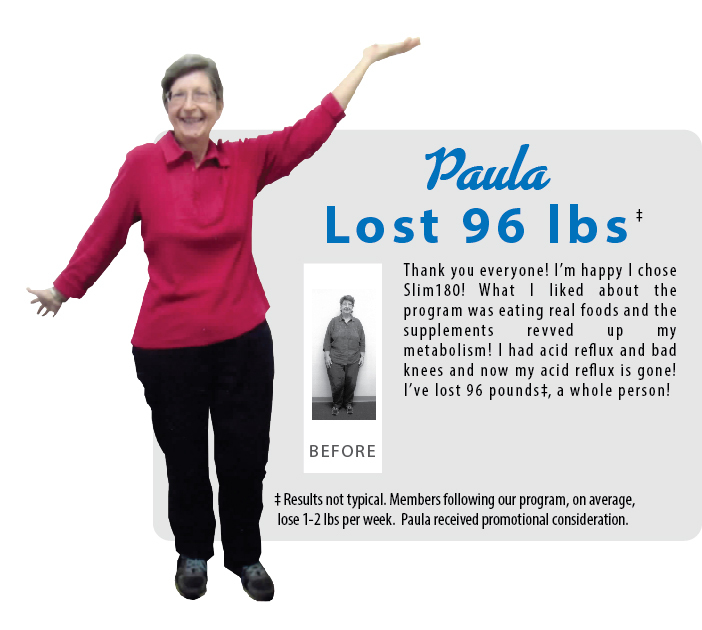 Members following our program, on average, lose about 1-2 lbs per week. Laura received personal consideration. ‡Now that I have lost 73.6 pounds, I have accomplished something that I could not do on my own. Coming in to meet with a counselor made me accountable for my actions. I have gained so much confidence and people tell me how good I look! ‡Results not typical. Members following our program, on average, lose about 1-2 lbs per week. Sally received personal consideration. 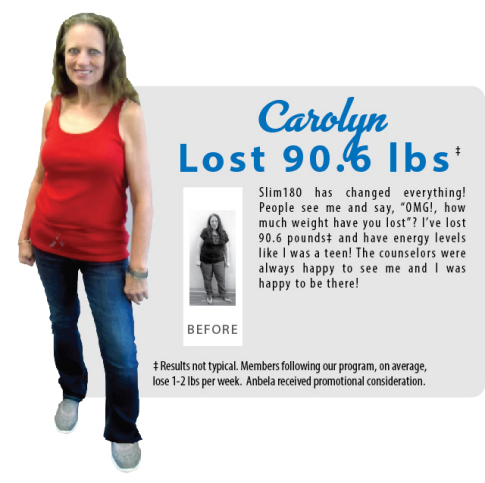 ‡Slim180 has changes everything! People see me and say, “OMG!, how much weight have you lost?” I’ve lost 90.6 pounds‡ and have energy levels like I was a teen! The counselors were a;ways happy to see me and I was happy to be there! ‡Results not typical. Members following our program, on average, lose about 1-2 lbs per week. Carolyn received personal consideration. Get In Shape. Feel Great! Lose up to 10 pounds the first week and 3 to 5 pounds per week. We don’t want you to ever have a weight problem again! At Slim 180 Weight Loss, our goal is to teach you how to accomplish an “about face” and do a 180 when it comes to your weight loss. 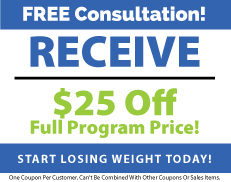 Start Today with your Free consultation!